This Poor Dulha Got Beaten Up for Giving Less Money at the Doodh Pilai Rasam Aur Kasam Se, We Feel Sorry for him! Sounds funny just by reading the title, doesn’t it? But oh man, this really went out of the hands and got batshit crazy for the newlyweds. Weddings are suppose to fun and exciting with loads of energy and memories. But in this case, something extremely screwed up happen and we surely do not know what to say. Have You Ever Heard of a Wedding Where the Family Beat Each Other Up Because of Less Money Given at a (Pointless) Rasam? Well, this is what happened in a village situated in Punjab. While weddings are memorable for everyone, for this couple and its family, it will indeed remain memorable but in a weird way and we are not even kidding. 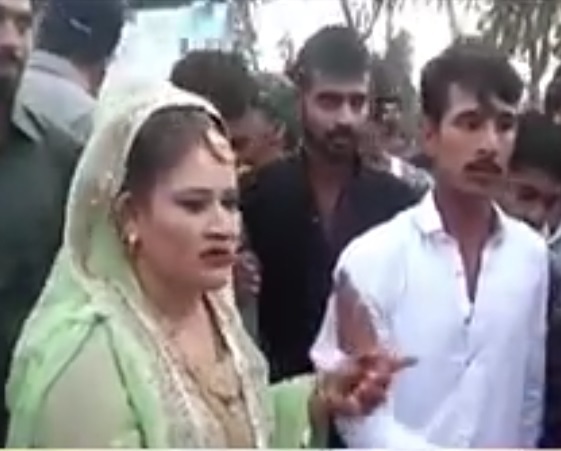 The groom named Wald Muhammad Boota was beaten by the family of his dulhania Bano when he offered Rs. 1000 as doodh pilai money. The bridesmaid demanded Rs. 2000 but the poor groom refused and well, it got a little too heavy with all the physical larai. ALL Of this Over Just Rs. 1000? Man, That IS Horrible! Dear all the future bridesmaids and brides-to-be, don’t be like Mrs. Bano…do not insult your husband this way regardless of what the circumstances are. On the other hand, to all the future Boota, be sure of the family you are getting into. You really don’t want to marry into a family who’d beat you after some money which is supposed to be given as a gift. The beating got so bad that the police were involved and it was covered my news outlets as well. So what do you think about this incident?